Maybe our quest for Century Records wasn’t all for naught. A reader, Audrey wrote in to tell us that her dad, Sam Rice, was a recording tech there. Her memories begin to flush out the black and white sketch on the back of the record and what went on within. She even shared a peek of some of her pop’s Century Records paperwork– recording schedules and contracts. Looks like you could get a school record in the works for six bucks per unit back in ’65. Of course, this includes some whistles and bells like “special editing, anti static vinyl, and custom album cover”. 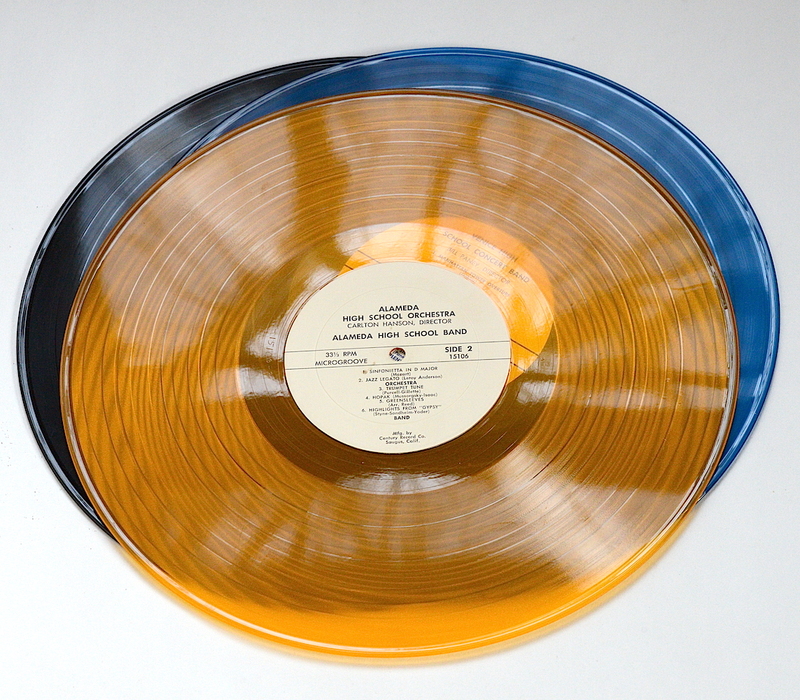 Wonder if color vinyl was extra? Turns out Audrey’s dad was a big of a big shot over at Century, at least in 1965 when he got a gold medal for a top 10 record. Unfortunately, her father has passed, but his name lives on– showing up on many of the Century Records in those thrift store bins. So we continue to scour those thrift shops while keeping our ears out for more Century Records stories… If you have any, drop us a line. Before School of Rock there was Century Records. Nothing against the 6-year-old guitar prodigy or the teen wonderkid singer songwriter, but who doesn’t love a creaky out of tune cover song played by a run-of-the-mill middle school band? Century Records was largely a franchise operation. 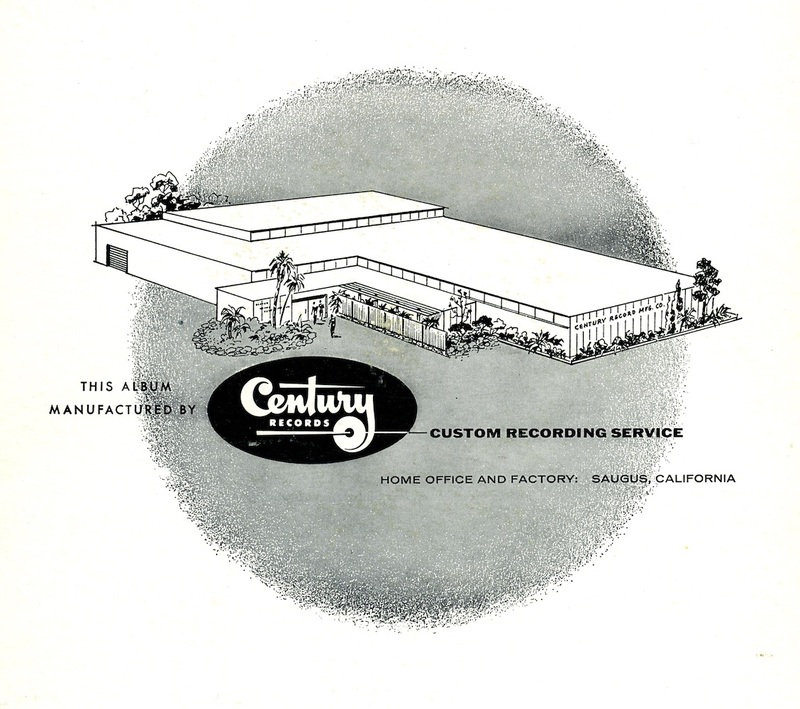 Local recording companies across USA peddled Century’s LP Packages then sent their school recordings to Saugus, California to be pressed and printed. Century was the brain child of a guy named Keyser who was deep into plastics and vinyl. In fact, Century eventually became a strictly plastics operation and stopped its franchising of school records all together. But not before creating a library of unique no-frills LPs for amateur tin-ear archeologists to unearth and revive. In our unrelenting mission to rescue junked albums, we first ran into these LPs in thrift store bargain bins. They usually have a pretty generic cover with a distinctive sketch of the Century Records Building on the back. Some of the tracks are are pretty good, though we prefer the cuts with plenty of rough around the edges. These numbers illustrate the beauty of the Century Record concept: everyone can get a shot at being a recording artist and have the LP to prove it! 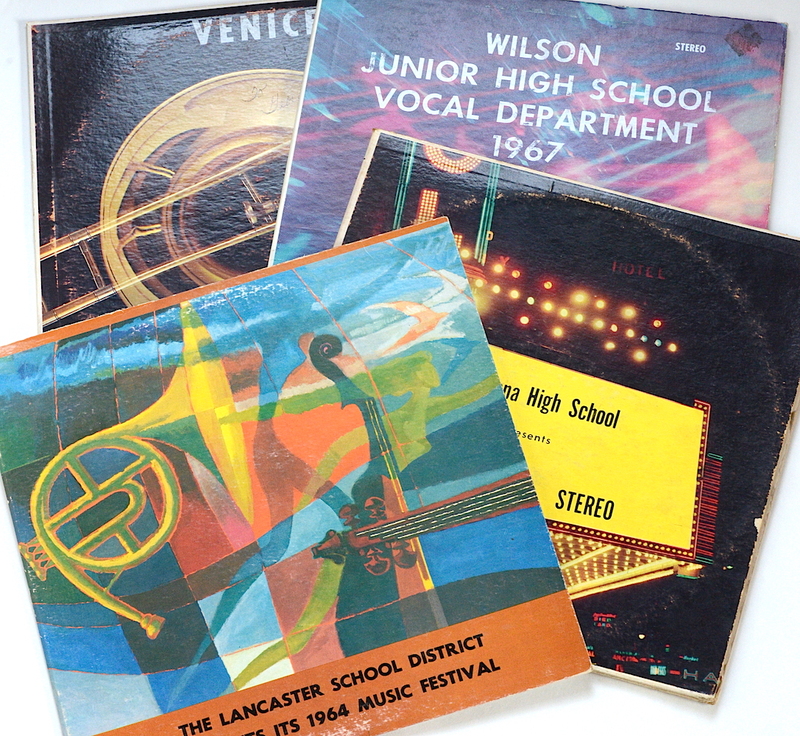 Such dillies include Alameda High School Band’s version of Greensleeves on yellow vinyl, the Byrd Junior High 1964 Band’s medley of hits from West Side Story, and the Wilson Junior High School Chorus’ 1967 rendition of the Impossible Dream. Standards like these become instant entertainment in a way that karaoke never could be. A few years ago, it dawned on us that we might be able to find the Century building as sketched on the back of the LPs– after all, Saugus is practically in our own backyard. Armed with a map, some Century LPs, and a camera, we headed north on Highway 5. We were certain this distinctive looking building would be easy to spot. No such luck. We showed the LP to the owners of a local coffee shop, several gas station attendants, and even the woman on duty at the historical society. No one had heard of the place let alone seen this building. Everyone was really nice though, and the historical society lady even thanked us for educating her about her own town. Alas Century Records was obsolete– erased from the local memory and urban landscape. We’ll just have to turn to the turntable for solace in Wilson Junior High’s The Impossible Dream.